Close-up of a remarkably well-defined ball-shaped reflection, this time with the Sun in the background. 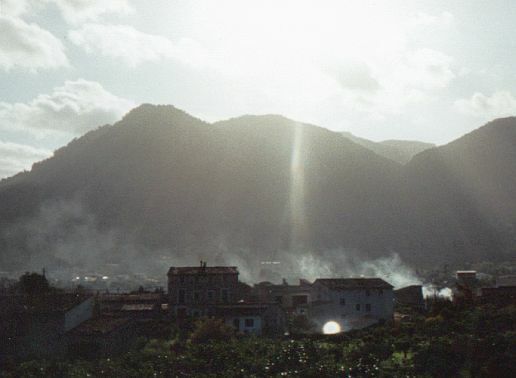 The photo was taken in 1996 near the village of Sóller in the northwest of Mallorca. Here too it remains uncertain what caused the reflection. Our best guess is that the mirrored surface was the glass cupola of a greenhouse.